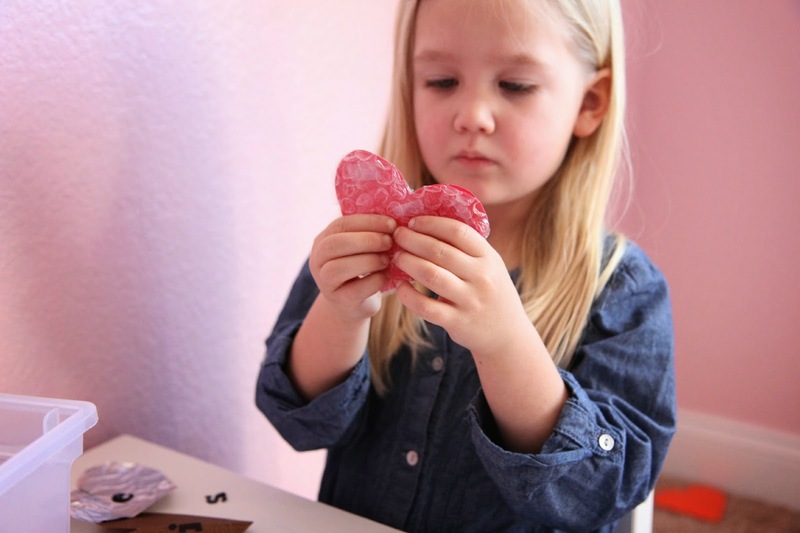 Valentine's Day is approaching and we are having fun playing with hearts! I am excited to team up with some wonderfully creative friends to bring you a Playful Hearts, a Valentines inspired play and learning series. Today we will be using our sense of touch as we dive into our textured heart alphabet sensory bin! My kids love to constantly touch and feel things. One of my favorite ways to explore the alphabet is by using our senses in a variety of ways. Today we're going to share how we learn about the alphabet while touching and feeling different textured materials. To get started you just need a few supplies and a little bit of preparation time (maybe 5 minutes?). 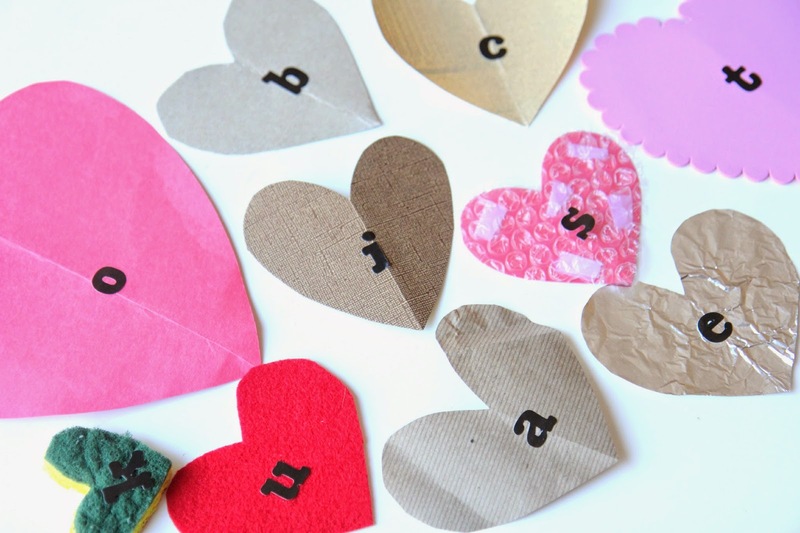 You'll want to have a big plastic tub, alphabet stickers (upper and lowercase), scissors, and several different materials that you can cut into heart shapes. I'll bet you can come up with even more ideas! If you think of any, come tell me in the comments since I'd love to add more textures to our sensory bin. Next stick a lowercase alphabet letter on each heart and put the hearts into a big plastic tub. Mix the alphabet letters around. I tried to first make sure that I had each letter in my daughter's full name so we could concentrate on that first. After the lowercase letter stickers have been put on, put all the textured hearts in a plastic tub along with some uppercase alphabet stickers. Let your preschooler explore the materials for a bit and tell you which letter she sees and how each material feels. Sensory bins are a great activity for developing language skills. After exploring for a bit my daughter noticed that we had lowercase letters but not uppercase letters, so we grabbed our uppercase letter stickers and put an uppercase letter on the back of each heart. This way, as we explored the hearts we could look at the uppercase letters too. Once each heart had an upper and lowercase sticker on it then I just let my daughter enjoy some free play time with these textured materials. The bubble wrap heart was the favorite! She felt the textured letters, organized them in shape order, and then even started using the letters to spell her name. I loved hearing the descriptive words she picked up as she talked about the different materials and textures. This simple activity is awesome for teaching kids about size/shape concepts and texture and you can use the textured letters in so many different ways. This activity can be used with preschoolers and toddlers. 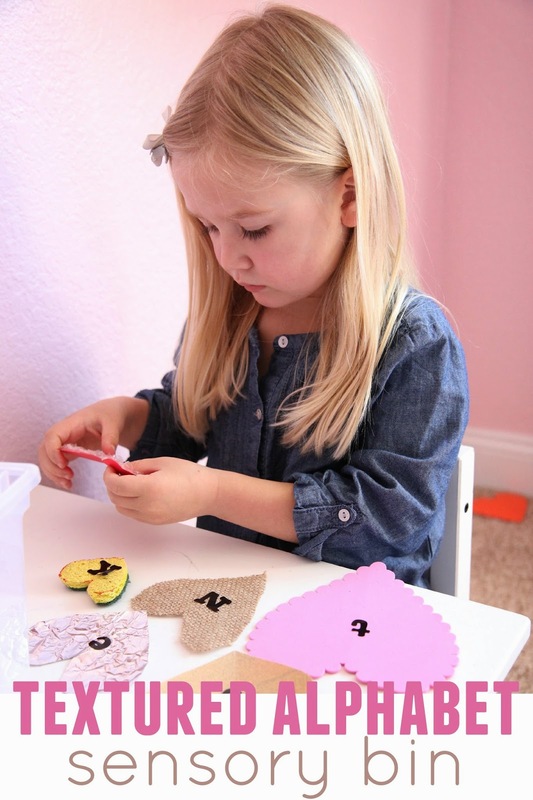 Toddlers may enjoy touching the sensory materials more than noticing that alphabet letters, but they can still have a lot of fun... especially if they get to dump the hearts out and then put them back in and dump them again. 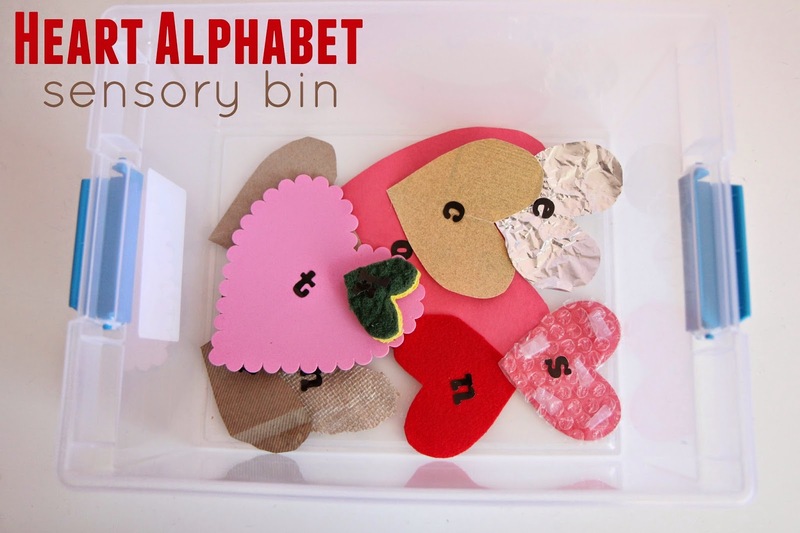 In addition to this fun heart alphabet sensory bin you can find several of our other favorite toddler Valentine's Day crafts HERE. We are participating in this Playful Hearts Valentine's Play and Learn series with several of our creative friends. You can check out their great ideas below. Cathy at Nurturestore is sharing a Valentine math station! Meri at Meri Cherry shows us how to make a recycled paper bag heart purse. 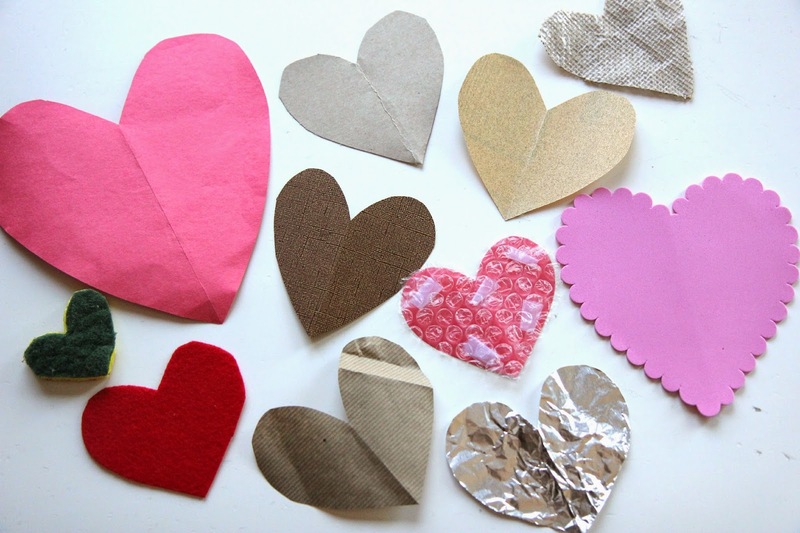 Want some more playful and fun Valentine's Day activities? Go check out my Valentine's Day pinterest board.